Little Miss Poppy Arrived in a Plane, She came out of the crate and it was love at first sight. Poppy has endeared herself to our family in a very special way. Our grand children adore her and she them. 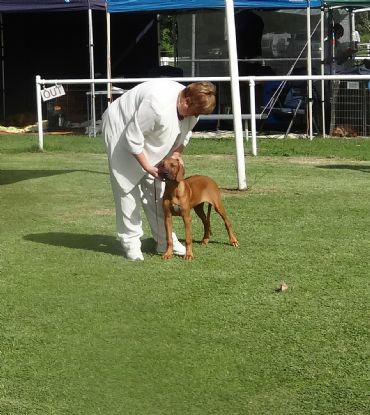 Her Debut in the ring was just wonderful, Miss Poppy started out with a BABY in Group, Her next outing to the ridgeback specialty was for a BABY N SHOW. She has since been awarded JUNIOR IN SHOW at RRCI 2013, Miss Poppy has been awarded many classes in group. 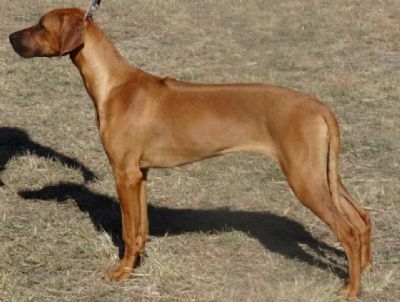 We are very excited to see how she develops and progresses in the ring. She has been a wonderful addition to our family.